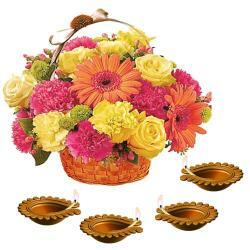 Product Consist : Diwali Card Basket Arrangement of 30 Mix Colourful Roses along with Diwali Fire Crackers (Worth Rs. 300/-) (Note: Firecracker will be deliver as per their availability no specific choice for it). 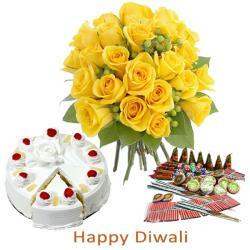 Enjoy the precious moments of Diwali festivals by gifting this Combo and for this endeavor you will rejoice the love and blessing from your friends and family on this blessed occasion. 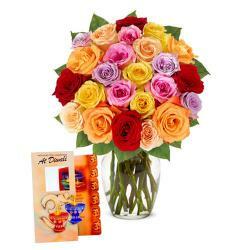 Have a look at this impeccable gift hamper that is sure to make your loved ones smile. 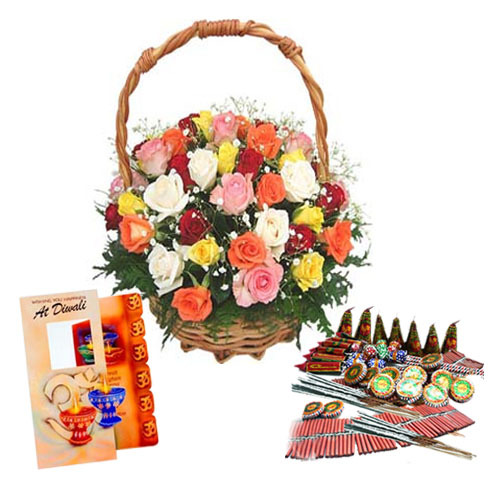 This is a heart touching gift hamper that comprises of a Basket of colorful roses that is nicely arranged with a decorative green fillers. This hamper also includes a special Diwali greeting card with heart warming message inside for your loved ones with the all kids favourite Fire crackers with this amazing gift combo we are sure you will be able to express your love towards them and make their celebration memorable. 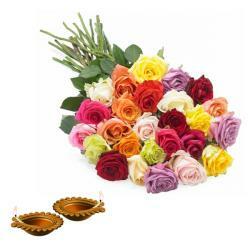 Product Includes : Diwali Card Basket Arrangement of 30 Mix Colourful Roses along with Diwali Fire Crackers (Worth Rs. 300/-) (Note: Firecracker will be deliver as per their availability no specific choice for it).